Most of you think that motivation comes easily for me – as if I were super woman. I’m not. In fact, I struggle with finding motivation just like all of the rest of you. I just tend to push it into the back of my mind and carry forward. It’s tough and most people have no idea what I battle with day in and day out. I just make it look easy…somehow. I had one blog ready to post that I wrote on the plane ride, but just didn’t get around to it. Now as I’m sitting here with thoughts rambling through my head I’m trying to sort them into some logical reading material all the while thinking about whether or not I even want to post anything. As I sat in an over crowded airplane heading to Orlando for Christmas with the family I was once again reminded by the flight attendants to turn off all electronic devices and use airplane mode once we were in the air. It reminded me of something that I need to be reminded of often…sometimes I need to go into airplane mode. I often find myself flying through life at the speed of light and have realized that I need to power down a little more often than I do. I mean this in many aspects of life; work, family, events and activities, running. We find ourselves moving faster and faster through life only to look back asking “Where did the time go?”. In running I’ve found that the winter months are my “airplane mode”. It’s that time of year where I need to play it safe, stay healthy, and keep up good habits. It can be hard for me to power down. Some days it feels boring and mundane but I have to keep reminding myself that there’s a bigger goal in site. I also need to power down mentally. People cope with life, love, what have you, in a variety of ways. Sometimes we stay and fight. Sometimes we run away. We take our “cues” from the world around us. It’s hard for me to stop and slow down and I’m okay admitting to that. For me, it’s easier to stay busy and not have time to sit and think or find other things to do. I will beat myself up if I don’t run when I know I should and that’s usually the biggest motivator for me, but I know that there are times when my body tells me “ENOUGH” – and I know that I need to slow down and hide away or find a quiet place to rest my body and sometimes my mind. I will make no excuses though. 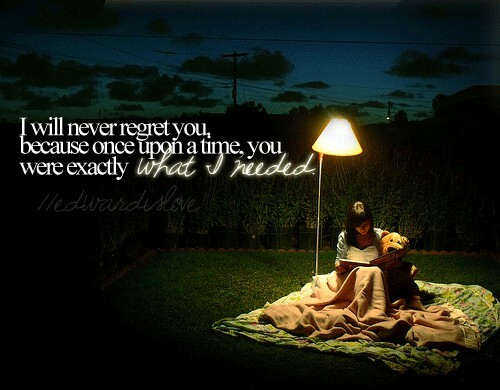 I will listen and live by no regrets. Sometimes it takes powering down to get the best out of life. Find a quiet place. It might not be easy, but it might be what you need.